Pemberton BC is a small village north of Whistler, in the Pemberton Valley of British Columbia. The climate is hot and dry in the summer, and mild in the winter. It feels like another time in Pemberton, perhaps because the village was only accessible by train until the 1960s, when Highway 99 connected Vancouver to Alta Lake (now Whistler). Pemberton was developed to serve the Gold Rush, but some settlers stayed on even after an alternate route shifted traffic away from the settlement. They stayed because of the richness of the land, and established a small agricultural center. Today, Pemberton is an important producer of seed potatoes, and is branching out to market gardening. It supplies many restaurants in Whistler with fresh, local produce. Agri-tourism is growing. Aside from agriculture, there is outdoor recreation year round in and around Pemberton. A number of provincial parks protect the beauty and wilderness of rushing streams, towering forests and waterfalls. Natural hot springs – the first hot tubs – offer relaxation for the adventurous. 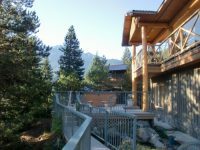 Ask the innkeepers of your Pemberton Bed and Breakfast to recommend the best current hot springs, as they constantly change. The maintained trails and slopes of Whistler Blackcomb are just thirty minutes from Pemberton, and heli-skiing and boarding is popular here. In addition, there are a number of backcountry and cross-country ski trails close to town. Each February, the Pemberton Valley Winterfest hosts a great celebration of winter sports, music and arts. It showcases the work of the many artists who live in the region. In the summer, enjoy mountain biking, horseback riding and hiking. Take in unparalleled views of British Columbia while paragliding, skydiving, or soaring through the air in a glider. Two excellent golf courses offer challenging courses, and innumerable lakes and streams (including some best accessed via helicopter) offer great spots for both fly and spin fishing. This outdoor wonderland boasts several outstanding restaurants, many of which use local ingredients. 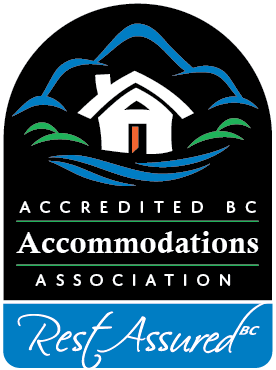 Ask the innkeepers of your Pemberton BC Bed and Breakfast for their favorite spots. West-coast B&B in superb & quiet location above Pemberton. Outstanding panoramic views from various decks with pond & hot-tub. Relax in our bird-theme B&B Guest Rooms or the fireside lounge with piano & native Art Gallery. Free WIFI. Delightful breakfasts and B&B host.German & English spoken.